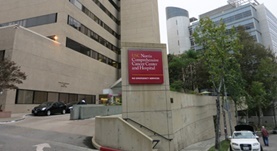 Dr. Alex Balekian graduated from the University of California San Diego School of Medicine and then completed his residency in Internal Medicine at the University of Texas Southwestern Medical School and a fellowship in Pulmonary Disease and Critical Care Medicine at the UCLA Medical Center. He has also received certification from the American Board of Internal Medicine in the field of Critical Care Medicine, Internal Medicine, and Pulmonary Disease. 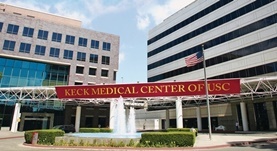 Dr. Balekian has been practicing for about 20 years and is currently associated with the Keck Medicine of USC and USC Norris Cancer Hospital. He has also contributed to two research papers. Dr. Alex Balekian has contributed to 2 publications. Accuracy of Clinicians and Models for Estimating the Probability that a Pulmonary Nodule Is Malignant. Balekian, A. A.,Silvestri, G. A.,Simkovich, S. M.,Mestaz, P. J.,Sanders, G. D.,Daniel, J.,Porcel, J.,Gould, M. K.; Ann Am Thorac Soc. 2013 Sep 24. Predicting in-hospital mortality among critically ill patients with end-stage liver disease. Balekian, A. A., Gould, M. K.; J Crit Care. 2012 Dec.